Analog Man carries the Boss EV-5 Expression Pedal. 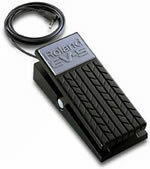 New Roland EV-5 expression pedal, for our ARDX20 Analog Delay, Vibes, etc. New in box. Another MUST HAVE!